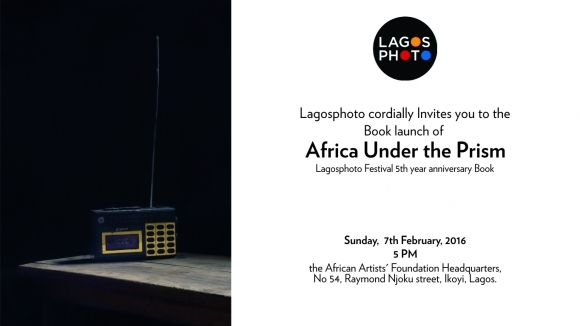 An intimate launch of LagosPhoto Festival 5th year anniversary book titled: Africa Under the Prism was held at AAF Lagos on 7th February 2016.This event was organized specially for Nigerian photographers who have participated in the festival over the years. The event gave us the opportunity to present them a complimentary copy of the scholarly monograph and also exchange ideas on building a strong community for photography and the arts in Nigeria. 54 Raymond Njoku, Ikoyi Lagos.